The trafficking of wildlife and their products is one of the most profitable and attractive of all the illicit trades, possibly surpassed only by the trafficking of arms and drugs. Studies note that several of the most notorious armed insurgent groups and terrorist organizations now derive substantial profits from the illegal wildlife trade to fund their incursions, civil wars, and other acts of violence. Criminal organizations are systematically exploiting wildlife as a source of financing. The corruption is spreading like a disease – into armies, border guards, police, judiciary, customs officers, embassy personnel, and even state diplomats in several countries, all of whom benefit from and actively facilitate the illegal wildlife trade. The trade’s attractiveness is largely due to its relative lack of social stigma, small risk of arrest, and the woefully light penalties given to those few brought before the courts. High-value wildlife are particularly attractive to criminal entities because their large scale killing and theft can be done quickly and inexpensively compared to the extraction of other high-value resources such as oil, gas, and most precious metals. Wildlife products are classic 'lootable resources,' a subset of high-value natural resources that are relatively easy to steal, but particularly challenging to monitor from a crime-management perspective. Other natural resources that fall into this category include alluvial diamonds and gemstones, such as rubies. 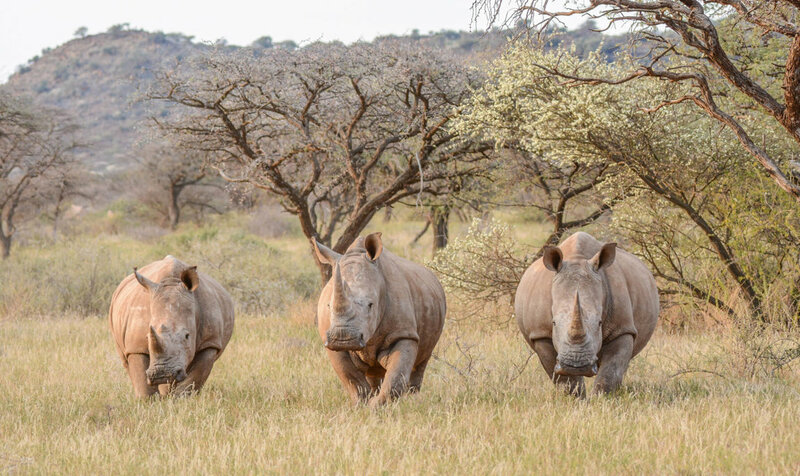 Researchers note that not only is the wildlife trade attracting huge profits, an estimated US$20-billion a year, criminologists have found that wildlife now serves a specialized role as “a form of currency” for terrorist and criminal organizations. Because wildlife commodities become the basis for the trade of drugs, ammunition, and humans, and a substitute for cash, the illegal wildlife trade has thus grown into a highly efficient form of money-laundering. Such exchanges appear particularly common among larger, more sophisticated criminal networks and terrorist organizations working across international borders. Not only has the lucrative nature of the wildlife trade encouraged high-level corruption, and violence surrounding the mass-killing of large charismatic wildlife (such as lions, tigers, elephants, gorillas and rhinos), there is also simultaneously a more ominous dimension. Rebel groups, insurgencies, and terror organizations are now also actively seeking out, capturing, and appropriating the profits of ecotourism enterprises. For example, seizing on the profitability of high-value gorilla tourism, Congolese rebels murdered wildlife officers and captured licensed ecotourism operations only to begin their own to fulfill their economic ends. Similarly in Nepal, Maoist rebels have captured protected areas to begin unlicensed ecotourism and trophy-hunting businesses to attract high-paying tourists. Ecotourism is central to the tourism products and national economies for nations such as Botswana, Kenya, South Africa, and Tanzania. We are witnessing unprecedented attacks on wildlife and genuine ecotourism operations by emboldened criminals. Tackling wildlife crime can and must become a priority - not just for the sake of the animals and conservation, but for national security and long-term economic sustainability. Trafficked wildlife is frequently smuggled under harrowing conditions in which many individuals die in transit. Because global demand for some species exceeds biological capacity, local or total extinctions of some species or sub-species have resulted. For example, several Rhino species or sub-species now face extinction. At risk of extinction due to poaching are also Sun Bears, Clouded Leopards, forest elephants, gorillas, tigers, orangutans, and pangolins, among several other species. To stem this threat conservationists must actively link their knowledge about threatened wildlife to the international development, security, and political concerns with which the wildlife trade has become inextricably conjoined.